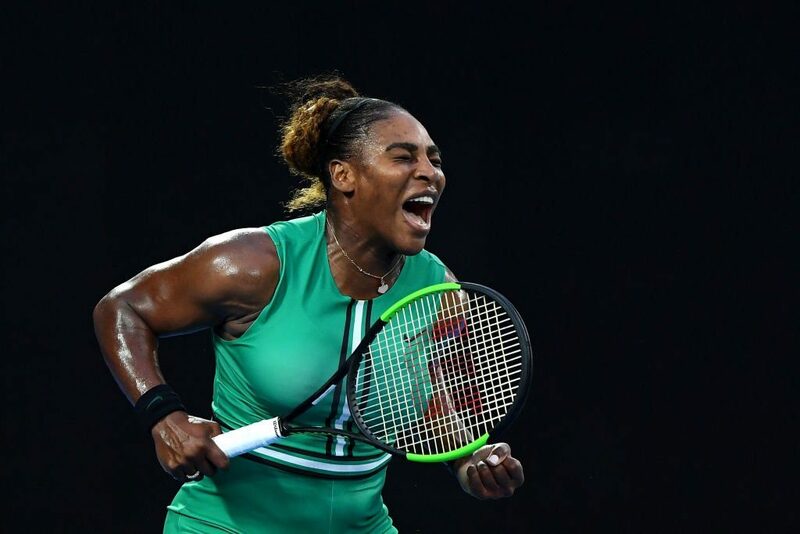 Serena Williams stayed on course for an eighth Australian Open title after defeating Simona Halep in an epic three-set battle on Monday. The 23-time major champion held off the gallant Romanian 6-1, 4-6, 6-4 in her first match against a world No 1 in almost six years. Williams completely dominated the opening set, breaking Halep three times to clinch it in a mere 21 minutes. After completely dominating the first set, Williams had to contend with a vastly-improved Halep in the second set. Although Serena got the first break of the second, Halep broke right back and got the advantage after breaking Williams for the second time in the 10th game to take the set 6-4. The third was a very tight affair in an increasingly dramatic, high-quality match. The pivotal moment came in the sixth game when Halep had three break opportunities, but Williams somehow held her nerve, and her serve, to level the score at 3-3. Halep looked distraught after letting the break slip, and Williams pounced to get the deciding break in the very next game. She will face Karolina Pliskova in the quarter-finals. In the final match on Monday, world No 1 Novak Djokovic produced a defiant performance to defeat Daniil Medvedev to also advance to the quarter-finals, moving a step closer to a record seventh title at Melbourne Park with a 6-4, 6-7(5), 6-2, 6-3 victory. He will face Kei Nishikori in that last-eight match-up. For the second match in a row, Djokovic dropped a set, but yet again, after dropping a set he came out firing and produced sublime tennis to cruise in the third and fourth sets and wrap up victory in three hours and 19 minutes.